Toronto Bathhouse Riots marks its 30th Anniversary. 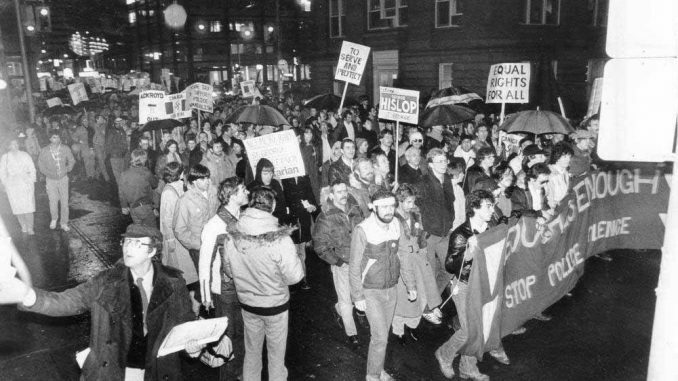 This demonstration mobilized so many in the gay community to band together and protest and fight for gay rights onto the Toronto streets. Because of the movement, Pride Toronto was born which will celebrate it’s 30th Anniversary this summer. There are a couple of great articles written to commemorate the anniversary of the Toronto Bathhouse Riots. xtra Magazine has a wonderful piece written. As well as an archive of pictures and articles 30 years ago about the Bathhouse Raid entitled Looking back on 30 years of gay liberation. Alan Sears has written an article for the New Socialist. Entitled 30 Years On: The Toronto Bathhouse Raids and Sexual and Gender Liberation. He runs Spa Excess on Carlton St., for an article entitled Thirty years after the bathhouse raids.